What is the physics relating to motion called? ok! we have answers to all these questions. when a body is continuously changing its position with respect to the surroundings , then we say that the body is in motion. 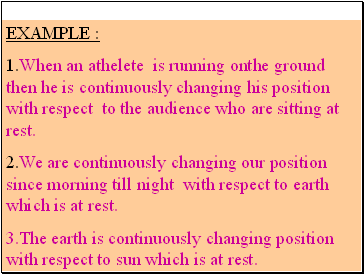 1.When an athelete is running onthe ground then he is continuously changing his position with respect to the audience who are sitting at rest. 2.We are continuously changing our position since morning till night with respect to earth which is at rest. 3.The earth is continuously changing position with respect to sun which is at rest. 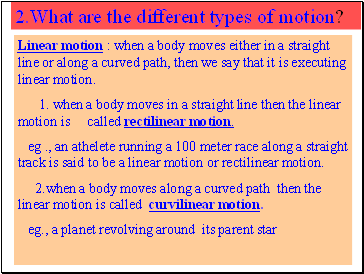 Linear motion : when a body moves either in a straight line or along a curved path, then we say that it is executing linear motion. 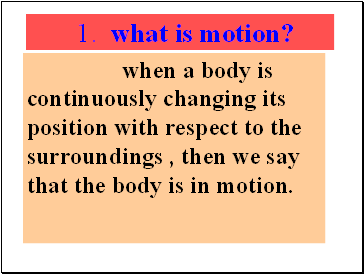 1. when a body moves in a straight line then the linear motion is called rectilinear motion. eg ., an athelete running a 100 meter race along a straight track is said to be a linear motion or rectilinear motion. 2.when a body moves along a curved path then the linear motion is called curvilinear motion. 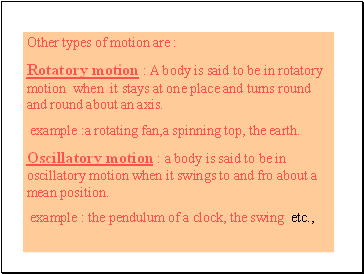 Rotatory motion : A body is said to be in rotatory motion when it stays at one place and turns round and round about an axis. example :a rotating fan,a spinning top, the earth. Oscillatory motion : a body is said to be in oscillatory motion when it swings to and fro about a mean position. What is the physics relating to motion called ? 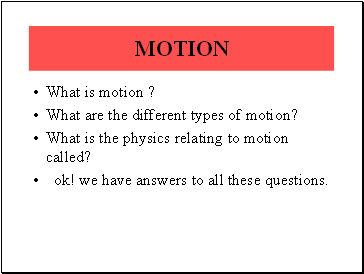 Mechanics : it is an important branch of physics and deals with the effect of force on bodies. 1. 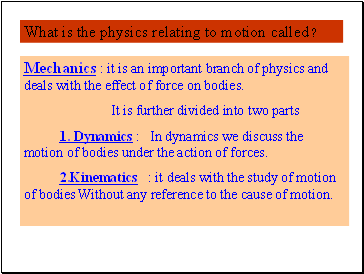 Dynamics : In dynamics we discuss the motion of bodies under the action of forces. 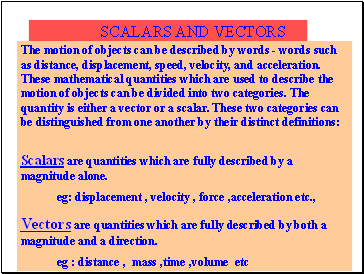 2.Kinematics : it deals with the study of motion of bodies Without any reference to the cause of motion.